Match your party theme with balloon bouquets. Dazzling 11" latex balloons in assorted neon colors with all-around music note design. Pack of 50. 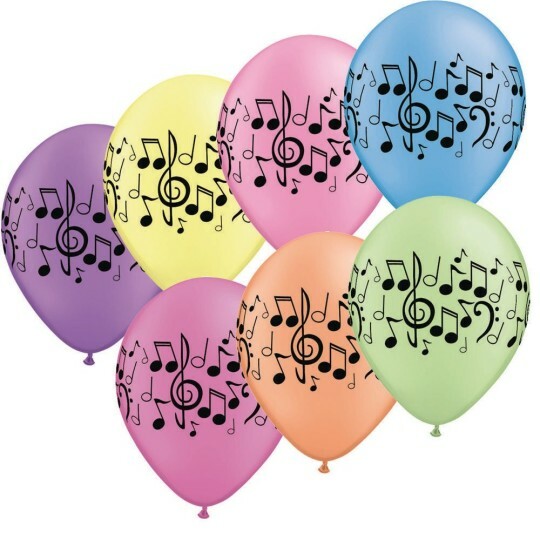 I used these balloons for decorations for a 50's event I had they are vary good quality and the residents love them. These were fantastic. Bright colors contrasted nicely with the musical notes. The residents loved them and reached up for them. I would highly recommend these.